Its a SSV closeuse, so once SSV closes for the season, and ropes/signs etc are pulled its not closed anymore. Gets bombed for delirium ski out safety and shoulder safety. Been closed since a patroller got taken for a ride even after bombing it. odds are never to be opened again. I got 2 laps in when it was "open" with patrol. We took the easiest route in/out (far lookers left) it was kinda spooky, and the other "options" where even more spicy. The reason I was asking about it is because I read the other thread about soaring ski passes and immediately thought "i bet the extreme skiing boom is over, now heated chairlifts are more important". Sorry to digress this thread. SC looks VERY filled in. Flights and accommodation booked for Revelstoke, Feb 2-10. Not my first time to BC, but first time in the winter. Hooefully that gives me just enough time to get my legs ready for some real vert. I am curious as to which airport that you are flying to, Calgary or Kelowna. Calgary has a bigger airport (more flights?) but the drive is roughly twice the drive from Kelowna and with Calgary it also mean going thru the often closed Rogers Pass. BTW Revy is not in the Canadian Rockies but most who do not live in western Canada do not know that. Heading up to Banff for the first time during the winter tomorrow! Planning on spending two days at SSV and two days at LL, any suggestions for what to do on the other two days? I just picked up a touring setup this fall, but would be more than happy to use it alongside snowshoe trails and such. You have a car? If so check the spray valley by Canmore, Sawmill/ Chester Lake trails is a hiking/snowshoe/cross country area if you just want to get out and tramp around. 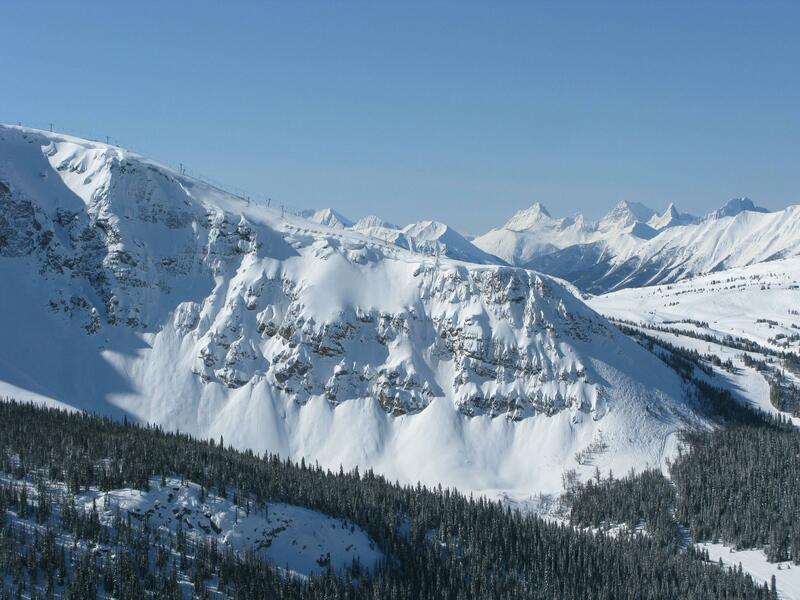 Black Cirque for actual BC skiing but avy gear and knowledge needed. Lots of stuff up the Icefield Parkway, but again real BC. Flying in/out of Kelowna. Renting car and driving to Revelstoke. I know it's not technically in the Canadian Rockies but noticed some other Revvy stoke in this thread so figured I'd post. We do have a car, and I have avy gear but no one else in my family does so sticking to super mellow terrain. I'll look into the spray valley area, looks like there are some really nice trails down there. Is there anything else between Canmore and Lake Louise that would fit the bill? Wow that looks epic! Not sure if it's in the cards for this trip, but safe to say I'll have to start planning another trip out there! Anyone looking for cheap replacement skis? I’ve got a couple pairs to unload. 192 XXL, 192 Solly Rocker, and a 189 kore 117. Sounds like that might be the best move, thanks for the advice! Calgary it also mean going thru the often closed Rogers Pass. The highway west of Revelstoke closes quite frequently for both avalanches and accidents, if not quite as often as Rogers Pass. From the west there is the Highway 6/23 alternative but driving time to Kelowna is doubled - more if there are long lines for the ferries. Post on WTF and facebook banff buy/sell? How long you around buddy? I'm heading down to castle for the winter starting jan 3. Love to show you around. There are some cross country type trails by LL, but I believe they all stay on the valley bottom. There is the trail to Skoki Lodge that leaves from near LL. Spray Valley trails at least have options to climb into the alpine for possible views. how many days on XXLs and bindings ? ?